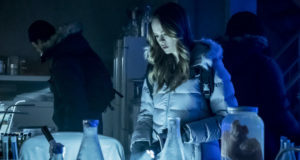 After such an excellent first season, one might almost expect for The Flash to slow down… after all, keeping up that level of quality isn’t easy. 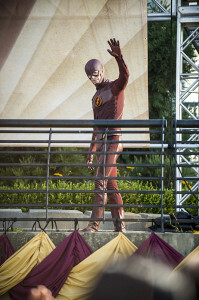 I can happily say that The Flash Season 2 premiere, “The Man Who Saved Central City,” keeps it up and having seen what happens after it, I can say Season 2 is quite rewarding for fans who followed the show during the first year. Several months have passed since Barry ran up into the singularity… and, Barry being Barry, blames himself for many things – the destruction, the fracturing of the team, and perhaps most of all, believing Harrison Wells. The people who care about Barry try to get through to him, and he might need them, now that a large new foe that is dubbed “Atom Smasher” hits Central City right as The Flash is being honored as a hero by the town. There is a character decision within that I’m not totally okay with and I don’t really understand, but I assume that will play out as the season goes on. And, yes, The Flash finally gets the white emblem, as Barry and the STAR Labs team embrace the future. Most of all, though, The Flash season premiere opens the world(s) and gets us started on a new adventure. Zoom is coming! 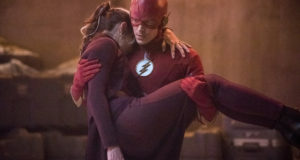 Previous: The 2015 FlashTVNews Awards: The Season 1 Results Are In! 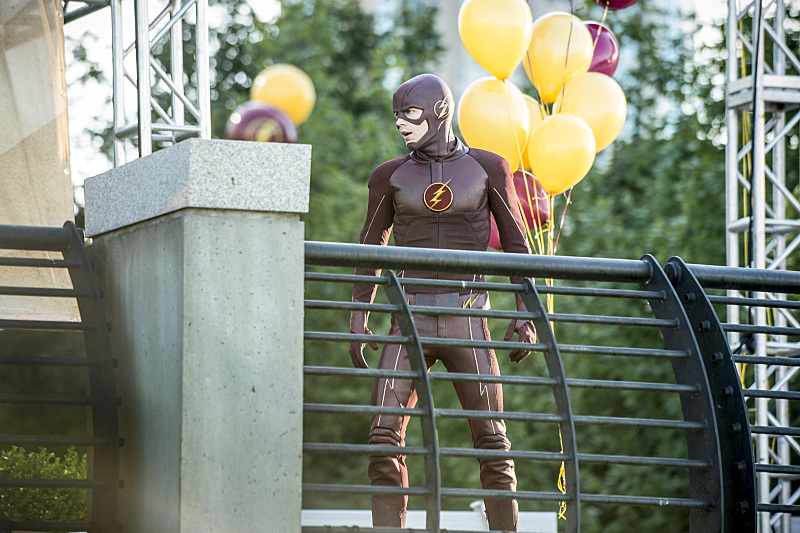 Next: Come Talk About Tonight’s Season Premiere On Our Flash Forum!